Nikon today announced the release of the Coolpix P900 as the top-of-the-line model in the high-performance COOLPIX P series of multi-functional compact digital cameras that support full-scale photography. 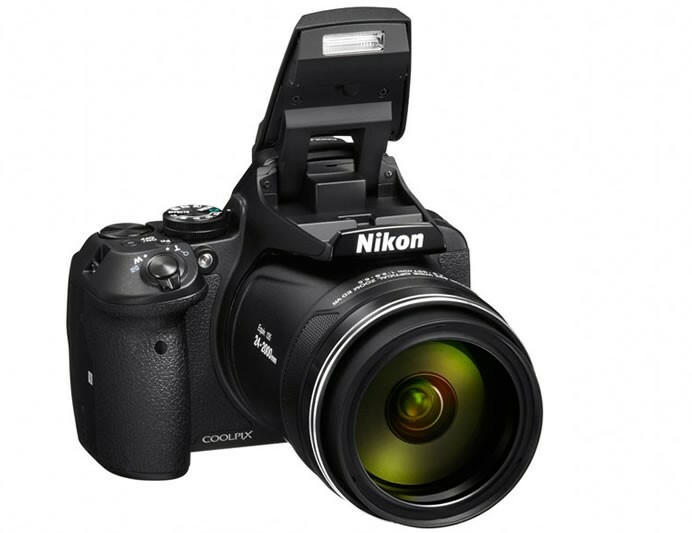 The Coolpix is equipped with an ultra high-power 83x optical zoom NIKKOR lens that covers the wide-angle 24 mm to super-telephoto 2000 mm angles of view (equivalent focal lengths in 35mm  format). In addition to its unrivaled zoom power, the 16-megapixel Coolpix comes equipped with an array of innovative features and advanced controls for capturing sharp and detailed images as well as Full HD video from afar. The optics built into the lens include a Super ED (Extra-low Dispersion) lens element that enables superior compensation for chromatic aberration. It also maintains a fast maximum aperture of f/6.5 at the maximum telephoto position for sharp and clear images, even with super-telephoto shooting. 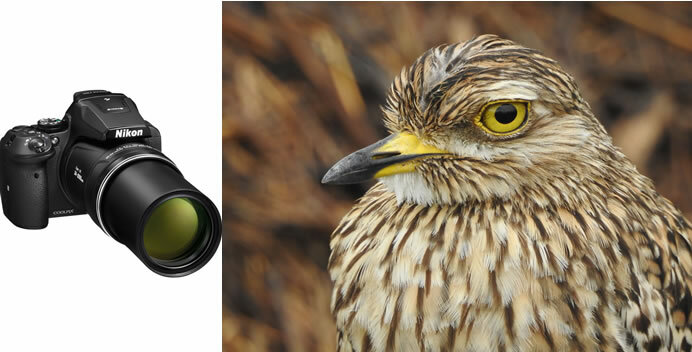 In addition, it is equipped with Dynamic Fine Zoom, which enables 166x zoom with which resolution is preserved throughout the digital zoom range, and it also supports macro photography of subjects as close as 1 cm to the lens. 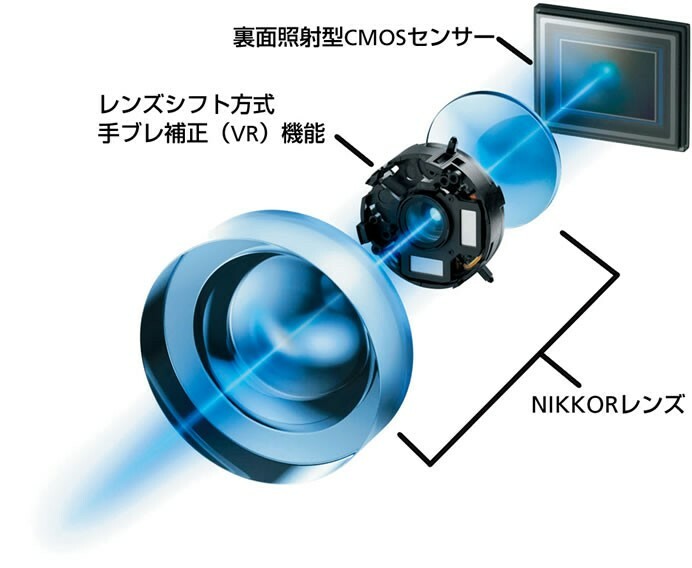 With adoption of the new Dual Detect Optical VR, the P900 achieves the highest level of camera shake compensation, equivalent to a 5.0-stop increase in shutter speed, available with a Nikon compact digital camera. The P900 is equipped with a 0.2-in., approximately 921k-dot electronic viewfinder with frame coverage of approximately 100%. 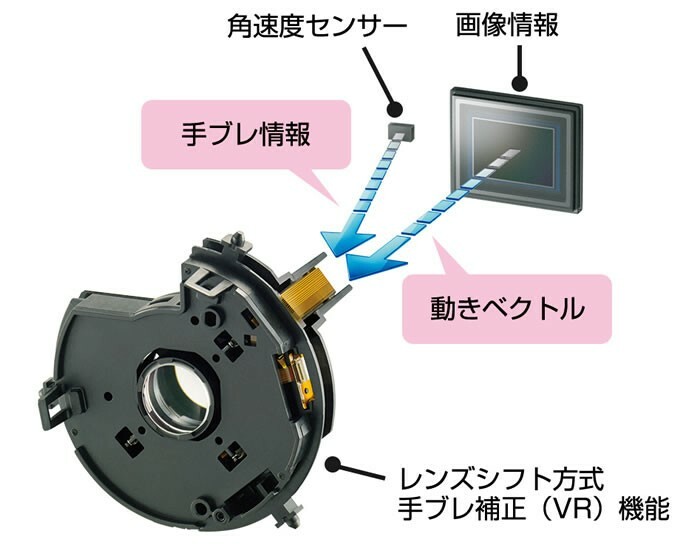 Adoption of an eye sensor enables automatic switching from monitor framing to framing using the electronic viewfinder by simply bringing the camera up to the eye. The P900 is equipped with a 3-inch vari-angle TFT LCD monitor with wide viewing angle. 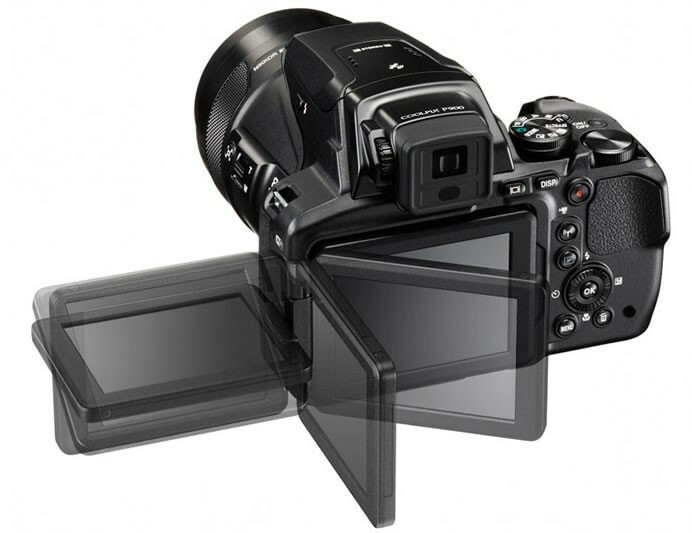 The sharp and clear LCD monitor consumes very little power, and is equipped with an anti-reflection coating and 5-level brightness adjustment function for superior visibility while framing or playing back images, or viewing camera menus, even when out-of-doors on bright, sunny days. Sharing photos has never been easier or more fun, as the COOLPIX P900 allows users to seamlessly shoot and share photos from the camera to a compatible smartphone or tablet via built-in Wi-Fi and NFCconnectivity. 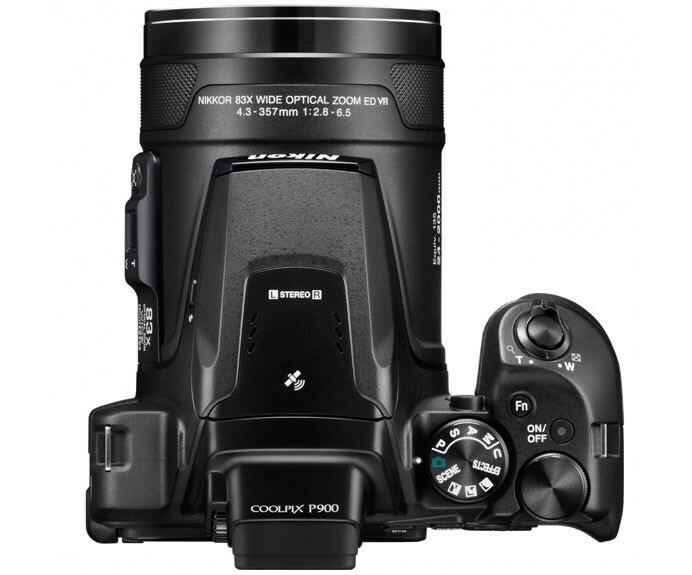 The Coolpix P900 will be available in Black for a suggested retail price (SRP) of $599.95. 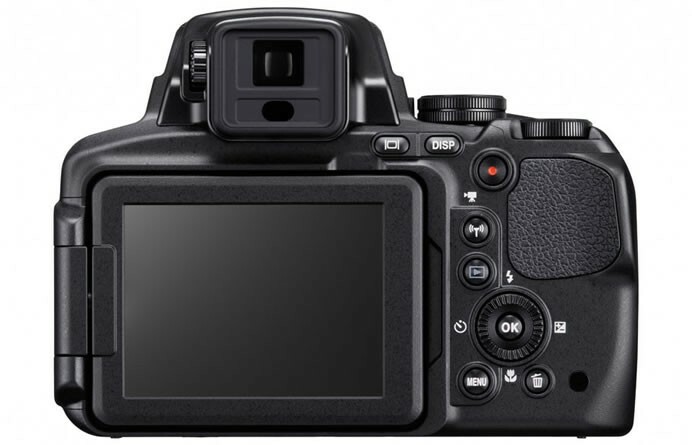 The camera will be available for purchase in April 2015.